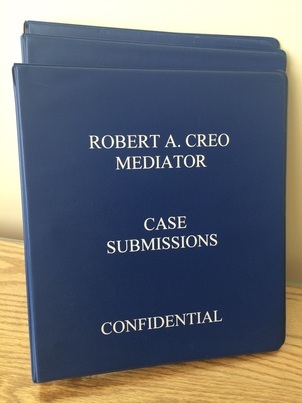 Robert A. Creo is an experienced mediator. He brings several years of knowledge to the table, as well as a genuine concern for all participants in conflict. Recognizing that conflict is about more than a rational assessment of rights and positions but also about a myriad of human reactions and emotions, he facilitates holistic, integrated decision making. He strives to help parties relate to different perspectives, understand important dynamics, guide negotiations and create opportunities for settlement. The best mediators operate by rapidly processing and assessing the dynamics and the perspectives of the participants to engage them in an appropriate and productive manner. The term "mediator sense" has been coined by Mr. Creo as being the knowledge that comes only via significant experience in the mediation process. ​Few mediators have Mr. Creo's decades of experience and working knowledge of diverse substantive areas of law practice.